How about gas plugas next?? Left to right: South African, unknown (I think L1A1), unknown (I think Imbel), STG, Izzy. I believe inch will be short like Israeli. I can post pic tonite of inch. Also have Izzy, metric and inch hinge pins. Need your flip view posted here too, Cliffy. Thanks elbo. I seem to have forgotten which picture I had posted and went the wrong direction. I swear... I've got to clean my counter before I do that again. That egg yoke is really bothering me. hehe if you squint your eyes the SA plug reminds me of a cicadia bug. what? you thought i had something useful to say? 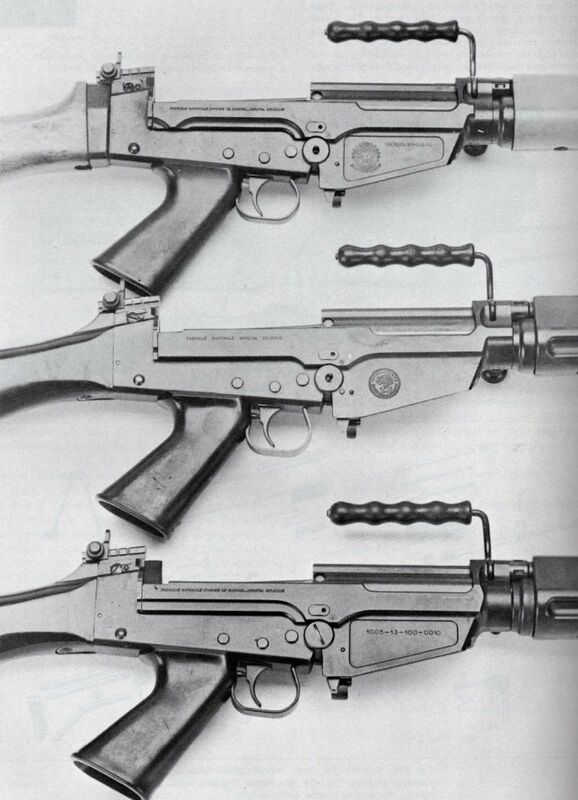 Mag releases are stg58(parked) and Imbel. stg looks to have a part number or something. Female parts of metric and ABC appear to be identical, I had heard that ABCs' shafts were slightly larger diameter but these are the same. You can see why the Izzy may need a longer piston tube. Plug cuts in the front are different. Argie is standard metric. Izzy plug has symmetric lugs so the block has the same notch top and bottom. I think the Izzy plug is the only one that will go in either way. remarkable for their apparent disinclination to do so. Ok, now I know which receiver to get! There have been several questions about the diffences bewteen lowers and I have yet to find a good set of pictures to point them out so I made my own. One easy way to distinguish between lowers is by looking at the radius cut (or lack thereof) at the bottom of the recoil plate the bottom of the recoil plate on each. Last edited by Rooster; June 01, 2004 at 21:09. This keeps getting better! THanks to all the contributors: aren't digital macro-capable cameras wonderful! Lets see some pics of internal lightening cuts?! Were the G1 lowers the ones to have these? Maybe we could use some pics of different wood furniture? Metric & Inch. 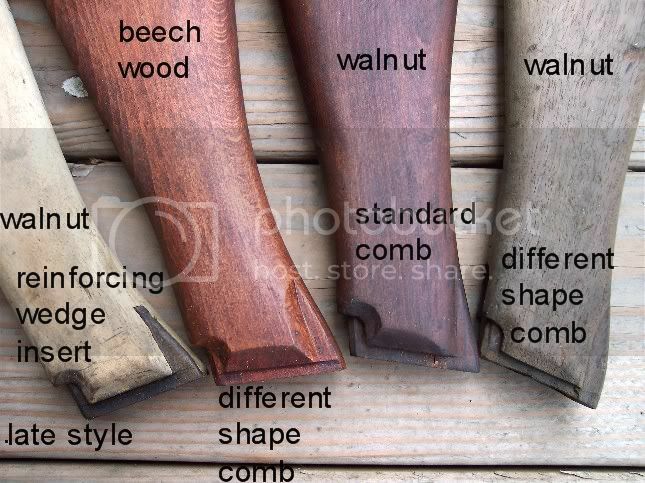 How do you know if wood handguards or buttstocks are A, B, or C? 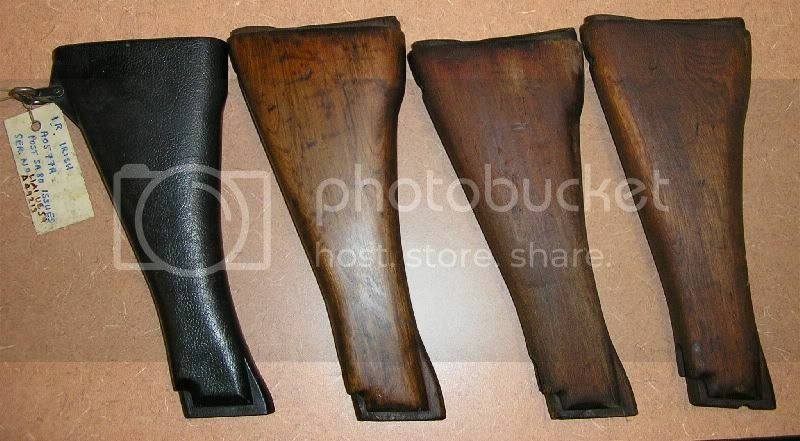 I'd also like to know the difference between Turk, Belgian, STG, & Izzy wood stocks. Some Inch handguards top to bottom. ABC first pattern, NZ synthetic, Australian MA72 laminate. 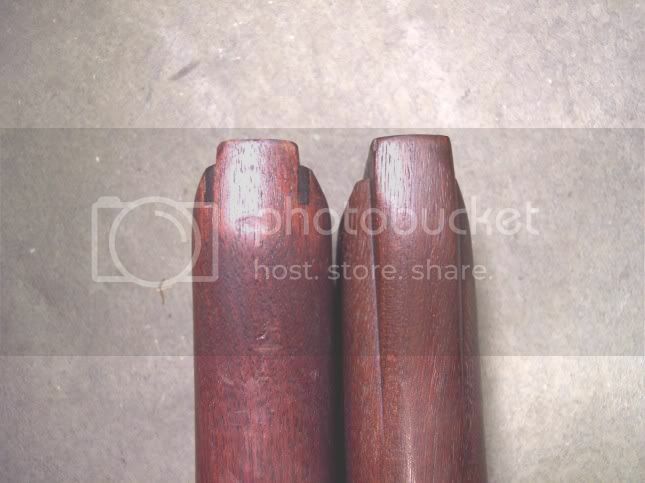 Some Inch stocks, left to right. British synthetic; Aussie(?) Normal length; Aussie Short length; unknown. oldie but goodie thread resurrection. Lots of stuff I was looking for here. Thanks. 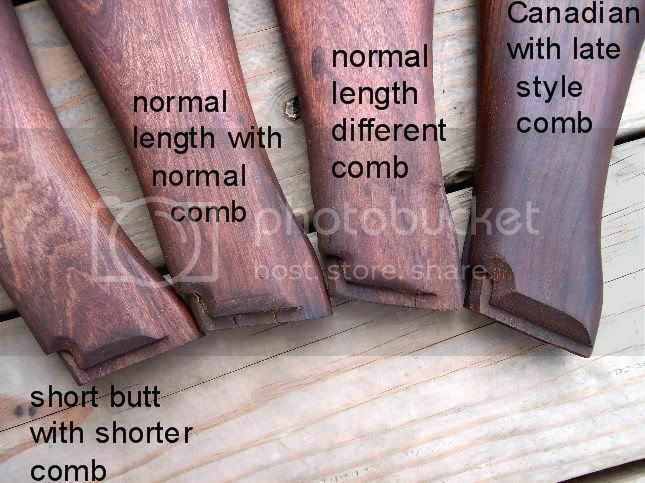 These are British buttstocks, note the short comb that was unique to all the Brits. 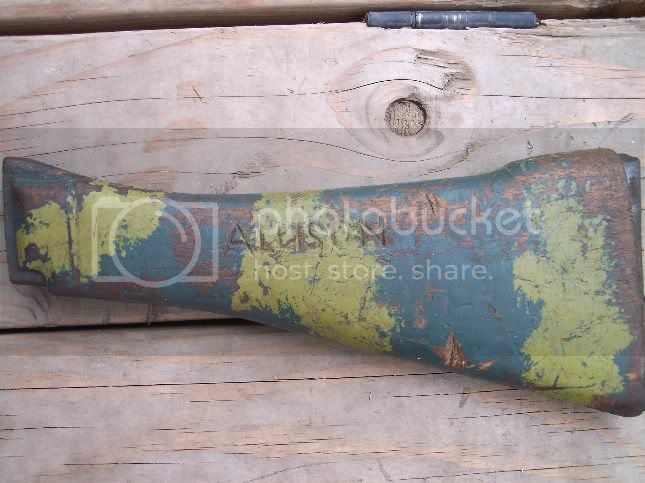 Brit L1A1's were used extensively throughout the African continent, this has the Rhodie camo. 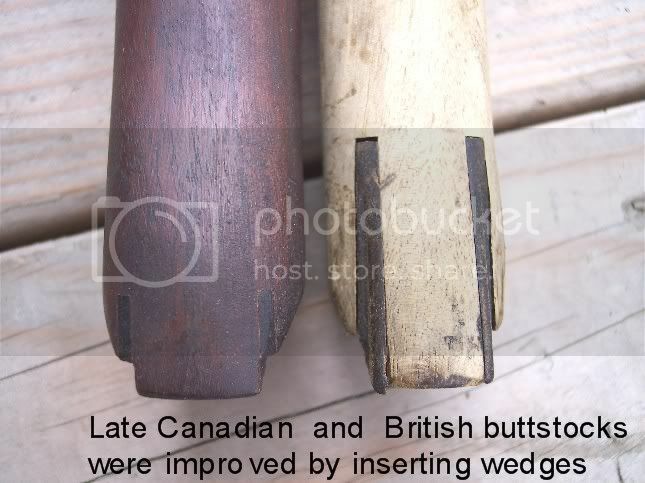 Canadian and British buttstock production were changed to prevent cracking by inserting wedges, also Canadian handguards had the same treatment. Aussie buttstocks had the comb cut straight back except for a few which were cut up and out at the back. 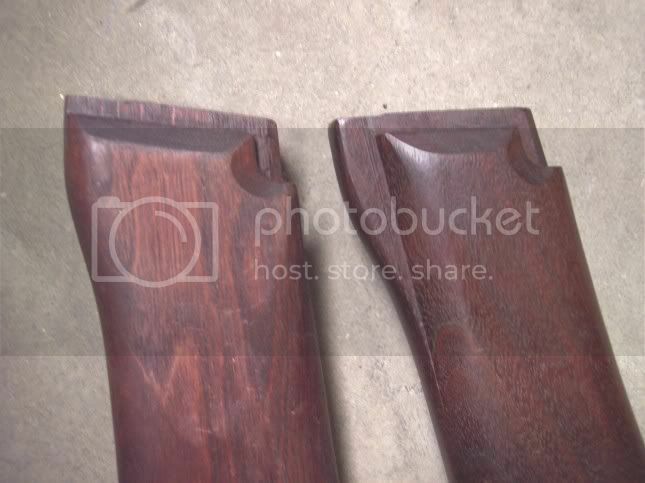 The length of the stock was altered at the front for the different sizes. The SBL is an after-market (not Contract) rifle. It appears they took the Type 3 and milled it to look like the Type 1. This is consistent w/ the 'SBL got forgings from FN' stories I've heard. The upper notch (at the back edge) is very interesting: SUIT cover adapted. Location: South of Houston Tx. Hey EDM11, Thank you for the pictures you've just educated in the gun I just brought at the Houston gun show. 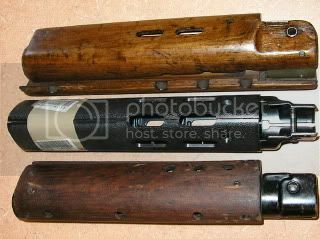 I"ve got a CETME coming Next friday and I took a little trading materal with me just on case. I got a #3 Imbel receiver. it's a ban one. with the funny stock. I'm not the biggest fan of the funny stock. I did pick up a parts kit and I'm going to build my next FAL. (If I can find a receiver) I found a century reciever at the gun show but I met "SLOW" here on the forum at the gun show. he gave me my first education on the FAL I had just gotten. No I'm not new to semi-auto's(I've got an M-1 garand(school trained), Mini-14, SVT-40, a couple of SKS's Russian, and yugos. and other mis. things. But, this is my first FAL. But, your pictures are great, sharp and with good light. 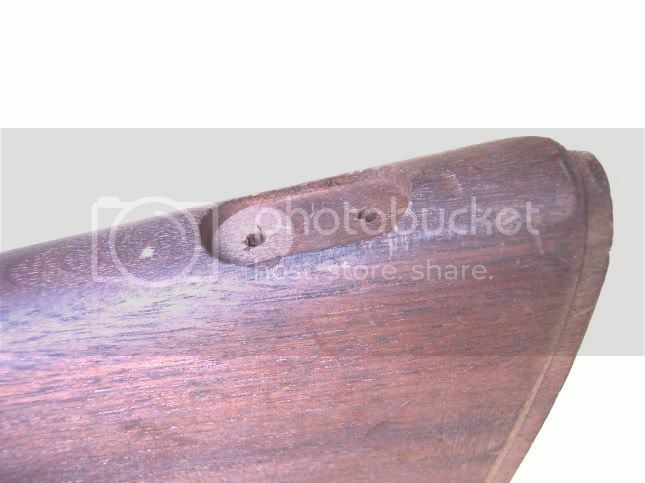 How about para rear sights? I saw some "early FN manufacture license" one for sale and wasn't sure how they differ from the rest. Primarily, I want them to be adjustable. Just wanted to thank you all for taking the time to answer questions etc. It is much better to have it and not need it than need it and not have it. My Defense Of Concealed Carry. This is my first post on falfiles & I want to say thanks (EDMII, Shootist, elbo & SLR-5000) for such an informative breakdown (with pics) of these great rifles. I'm currently looking for one & this thread has been a big help. Would anyone be able to post updated pictures of the 3 types of receivers? The original pictures are from too long ago and are no longer viewable. 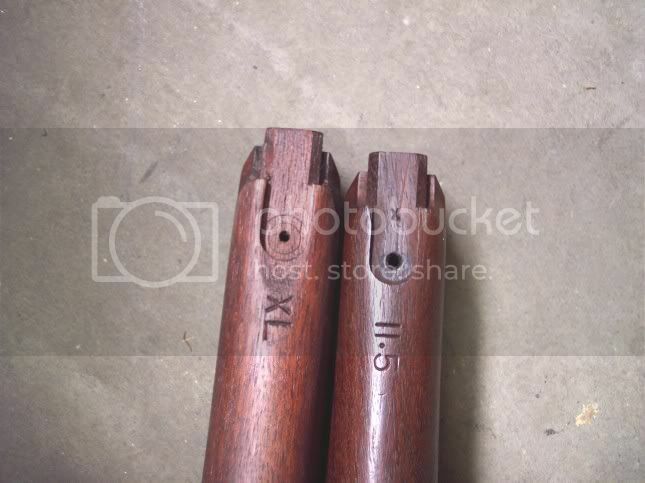 My SAR 48 HB Match is like the center one. Does the picture represent Type 1-3, from the Top-Bottom? If so, I guess that my receiver would be a Type II?